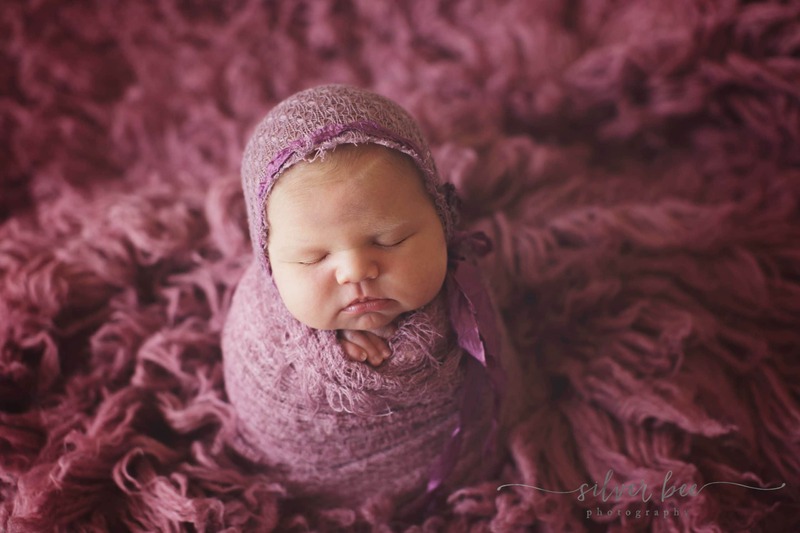 This newborn baby girl’s sneak peek is of one of my favorites, mostly because of her cute little chubby cheeks and the seamless newborn photography posing. The chubbier the better for me and can’t get enough of it! This newborn baby girl looked fabulous in all the colors I pulled. I have many go-to backdrops and several simple props to use. Of course my favorite is always tone-on-tone but she was a lucky one that looked good in an array of pinks and soft neutrals. Some of my favorite newborn poses are the ones that are more natural looking and where their own cute little features curl up. She was so relaxed during her session that she didn’t mind me making those tiny details perfect. She let me roll her little fingers out so that I could capture the length of those tiny long fingers and she was happy and snuggly. I love that a photograph can be very simple and classic and it’s great when you don’t need a bunch of props to showcase a brand new baby. Timeless images are my go to at each session with simple newborn photography posing. Posing newborns is always best if you have a workflow that minimizes the moving of the baby. The less we move them, they will remain calm and relaxed. Posing them in simple ways and then just having to adjust the hands or the feet is a great way to start each session when they are more sleepy from the car ride. I prefer to do all the tummy posing first and then move in to back poses from there. If the baby arrives more alert than normal or doesn’t seem to want to get to sleep, then I will work backwards and start with back posing, which typically involves lots of swaddling to comfort them. Most likely they will fall right to sleep with a good swaddle.